Affordable, Accessible, Luxurious, with a climate that will make your soul smile. The very word Cancun has a magical effect on your disposition, especially in the winter months. Cancun is Mexico's number one tourist destination with 200 flights daily. Marvelous climate, convenient location, amazing natural and cultural attractions make this city a favorite. 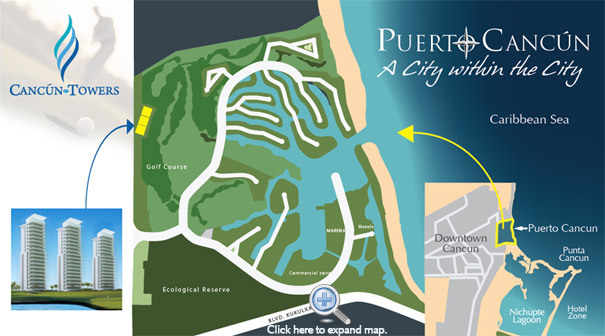 Within Cancun City, a new City is being built - Puerto Cancun. This 2 km by 2 km gated community offers everything you could want: ocean access and views, golf, marina, shopping all within walking distance, as well as acres upon acres of reserved green space home to countless birds and wild life. Cancun Towers condos are located on the ring road over looking Puerto Cancun. This prime location offers the best unobstructed views, as well as the best shelter against any harsh weather. There is no doubt that the area of Puerto Cancun is in high demand, making Cancun Towers a wise purchase choice. When buying in Mexico, your mind can rest easy as local Financial Security comes from Canadian Brands that you have grown to trust such as the Bank of Nova Scotia which is minutes away. International banks like HSBC have numerous branches throughout the city. Cancun's population has come alive over the past 15 years with expediential growth, and a widening international market place. The Myan Riviera is becoming a port destination for global manufacturers and a distribution hub to North America and South America alike. This new port will bring thousands of new residents over the coming years. But probably the most attractive features is Cancuns consistent warm weather and turquois blue waters with sugar white sand beaches. 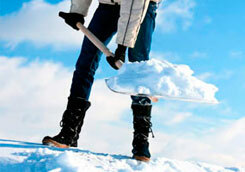 Never be concerned about seeing that dreaded white snow which often hits other Snow Bird hideaways. Lay back in your hammock and take it all in! 2013 visitor statistics show that 800,000 plus passengers go through the Cancun Airport monthly making it the second most busiest airport in all of Mexico, second only to Mexico City. In recent years the government funded a revitalization plan for the airport thus making it a state of the art facility technically for the airlines as well as more comfortable for travelers. An intense road replacement initiative occurred in Cancun late 2013 through to current which saw km upon km of newly paved roads and street marking. Main highways, corridors and the hotel zone road ways are a pleasure to travel on and are well illuminated in the night. The opening of Plaza Los Americas in 2009 made shopping in luxury a real dream for local residents and tourists. Big retail giants like Liver Pool and Sears anchor the mall and 100's of smaller designer stores and services fill the rest. Casinos, restaurants, cinema's, grocery stores, fair rides ,medical services and even a high end hotel can be found on the premises and is only 3 km from Cancun Towers. Spanish is the primary language spoken but the majority of stores are staffed with english speaking employees as well. If you are dreading the thought of another bitter winter, we have a solution that will make you shiver with anticipation instead of the cold! We have been bathing in the warmth of the Caribbean for over 6 winters. 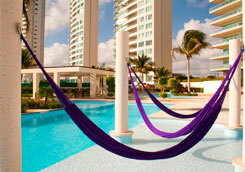 Cancun Towers are the Perfect Choice! With the ideal location, overlooking the ocean, marina, and golf course, Cancun Towers owners enjoy the best of everything! Our strong North American currency, and our straight forward purchasing path, makes Cancun Towers a wise choice. No sense in shivering in the cold when you can shiver with delight resting above the crystal clear pool in a hammock. Check out why 62 plus purchasers have already bought condos in the first 2 buildings at Cancun Towers and how you can reserve a place for yourself in the last and final tower at significantly low pre-sale prices! © Copyright 2009 - 2019 Cancun Towers.